Caption slip reads: "Photographer: Snow. Date: 1961-09-08. Assignment: Back To School. Special instructions: Monday. 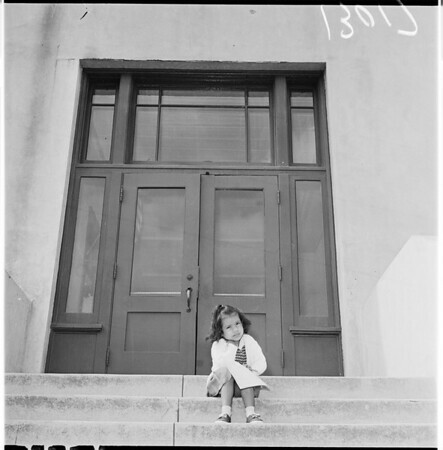 Shirley Ryckman, 5, with paper and pencil, waiting for school to start at the 10th Street School".